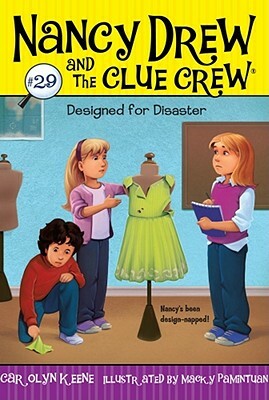 Nancy Drew and her classmates have the chance to submit their own fashion designs to a big-time competition--and the chance to model their designs in a fashion show. On a team with her best friends George and Bess, Nancy comes up with some truly original clothing ideas and her team is chosen! But someone keeps sabotaging the contest along the way -- stealing designs, hiding sample pieces, and tripping up the models. Can the Clue Crew find the culprit before the River Heights fashion show is canceled?